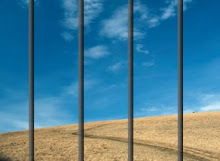 Some prisoners from Tihar (Delhi) wrote that Sahaja Yoga Meditation helped them to get rid of their alcohol addiction. During Sahaja Yoga I got the inspiration to quit my addiction of alcohol forever and I started getting good thoughts towards everyone. My mind became happy after coming here. I want to adopt Sahaja Yoga meditation and want to continue it with full heart even after going out of jail. After going to Sahaja Yoga meditation today I experienced a feeling of not to touch Liquor or any other type of intoxication again and I will do meditation. I felt a peace of mind which I had not felt before. After listen to the cassette of Shri Mataji my confidence was revived. Hereafter I will not drink liquor and will do meditation. Will look after my wife and children very well, send my children to school for education. When I went to Sahaja Yoga, I had feelings of revenge in my heart, but after listening Sahaja Yoga courses, I liked them and felt peace of mind. I used to drink occasionally. But after hearing these thoughts, I will never drink again and not fight with my children. I felt cool breeze in my hands and brain. I will leave bad company and keep myself away from bad people. I have gained a lot of knowledge by coming to Sahaja Yoga. 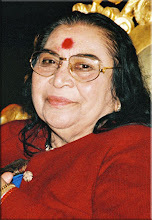 Through the things told in Sahaja Yoga, our heart became light and we experienced joy and happiness. Bad habits like drinking alcohol have been totally removed from my heart. Thanks !